With modern technology being as advanced as it is, electric heat pumps are more efficient and more effective than ever. Unfortunately, that means when a heat pump goes down in your Raleigh home, you’re left with no heat until an expert can diagnose the problem. 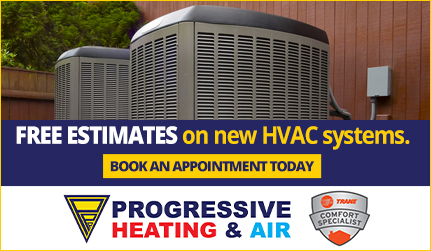 Progressive Service Company specializes in diagnosis, repair, and installation of electric heat pump systems from brands such as Carrier, York, Amana, Rheem, Goodman, Trane and others. When your Raleigh heat pump needs service, call the company that gets it done right the first time. Modern heat pumps don’t use combustion to create heat. Instead, these heat pumps use an electrical system to transfer heat from the environment around it into your house. This also works in reverse. With regular maintenance, your electric heat pump will run a top energy-efficiency and ensure your Raleigh home’s heating and cooling is saving you the most money possible on your energy bill. Failing to maintain the pump can result in the heat pump overworking itself, leading to even more problems, and eventually, a total burn out. 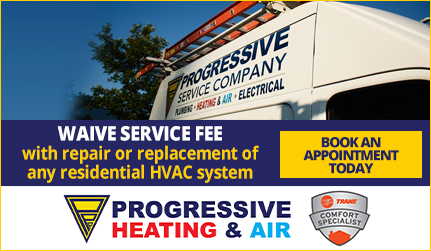 If you reach the point of needing heat pump repair service, make sure you call Progressive. We will get the problem fixed correctly the first time. Our team of Raleigh HVAC experts can take a look at your heat pump system and identify any problems. We can make slight routine adjustments to prevent future problems, or if you’re already experiencing higher level problems, our team is prepared to assist you in whatever way necessary. When you book a repair or maintenance call, you know you’re getting it done correctly the first time. With our wide variety of brand name heat pumps available, Progressive Service Company will have the type of heat pump that you need. Our Raleigh experts are standing by, ready to assist you. When they arrive, our team will perform extensive testing and measurements to ensure that you are choosing the proper heat pump size. Plenty of variables can affect the right pump for you, and conveniently for our customers, our team is well-versed in all of those variables and can help you select the correct pump based on your needs. But there are even bigger factors to consider other than your heat pump’s size! The makeup of your home’s heating and cooling system can effect what type of pump is most efficient. Perhaps you need an air source heat pump? Or maybe a geothermal heat pump. Feeling overwhelmed by the complexity? Don’t worry — that’s why we have our team of HVAC technicians in Raleigh ready to rush to your aid. We’re only one call away from making your heat pump stress disappear! We don’t just serve homeowners in Raleigh! 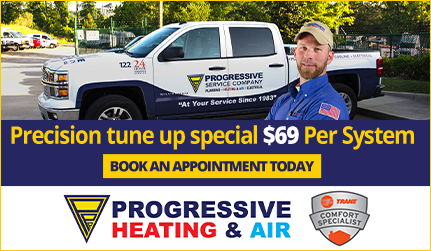 We’re proud to offer services all throughout the Triangle: Cary HVAC, Apex HVAC, Morrisville HVAC, Durham HVAC, Chapel Hill HVAC.